It goes without saying that this image is gorgeous. It’s among some of Coipel’s best work and I hope we’ll see more of it throughout the crossover. At the very least, we’ll have Clay Mann penciling the issues of X-Men: Legacy that are part of the event, and he employs a similar style to Coipel. 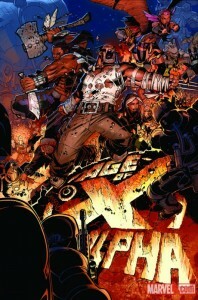 A recent interview with Carey on ComicBookResources.com also unveiled a series of character designs for everyone included on this cover along with one or two additional characters. The cover image by Chris Bachalo gives us the first appearance of the Age of X Wolverine. The design is nothing radically new, but it confirms his appearance in the event. I didn’t really think he’d be absent for this, but it has been nice not seeing him in every image. He’s just a little overused right now. We also get to see some of the enemies that the mutants will be standing off against. Writer Mike Carey revealed few details about the X-Men’s opposition and went so far as to call them “faceless.” The attackers on this cover certainly fit that bill. 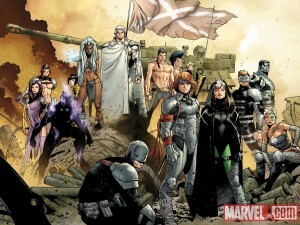 Bachalo is one of my favorite artists and my only complaint here is that we don’t see more characters in the image. I’d like to see Bachalo’s take on all of these redesigned characters, but I have no idea if he’ll be turning in any additional covers. I also really enjoyed the way the title of the book is incorporated into the image. Hopefully this won’t be too difficult to track down. The X-Men’s Age of X begins in January with Age of X: Alpha and continues in X-Men: Legacy #245-247 (with artist Clay Mann) and New Mutants #22-24 (with artist Steve Kurth). Also be sure to check the viral campaign Marvel is using to unveil the history of the Age of X as well as some early details on the crossover. 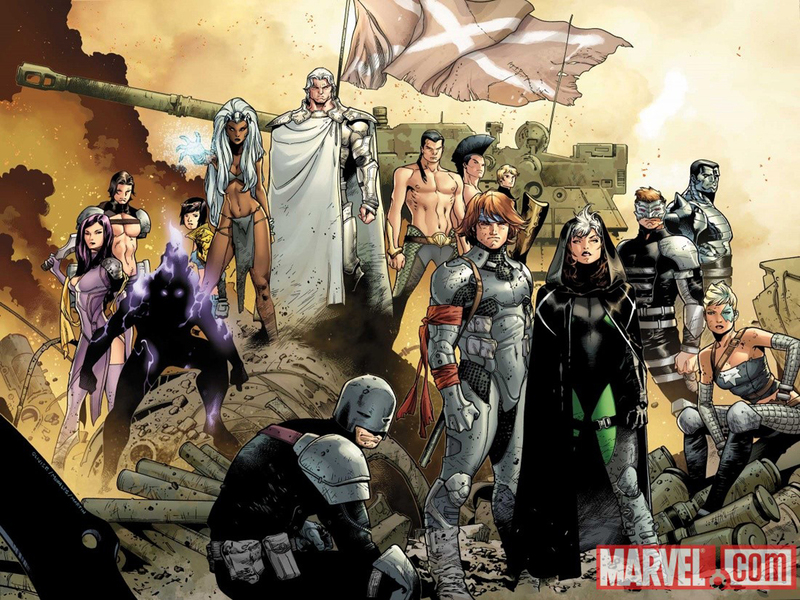 All of our Age of X coverage can also be found at MLD’s Age of X hub. I much prefer Bachalo’s cover to the Coipel. I’m not a fan of covers without action where the subjects look like they’re just posed for a photograph. When would this happen?